Attorney Fee Awards For Misconduct On A Winning Streak In Federal Court. 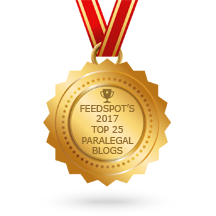 ≈ Comments Off on Attorney Fee Awards For Misconduct On A Winning Streak In Federal Court. Attorney fee awards have been on a hot-streak since the Supreme Court’s 2014 Octane Fitness decision lowering the standard for proving an ‘exceptional case’ under 35 U.S.C. § 285. Under the statute, a district court judge is empowered to award ‘reasonable attorney fees to the prevailing party’ to a patent infringement lawsuit, but only in ‘exceptional cases.’ Id. In Octane Fitness, the Supreme Court gave the lower court fairly wide latitude in deciding exceptional case judgment and the award of fees. In particular, courts are given authority to consider the totality-of-the-circumstances when determining whether a fee award is appropriate. In the parallel case of Highmark, the court held that those lower-court determinations should be given deference on appeal. . . .